I have been to see the bristlecone pine trees in the White Mountains a number of times, but not yet in winter, when snow adds to their photogenic qualities. I have also seen and photographed them on Wheeler Peak in Nevada, and in Cedar Breaks National Monument in Utah. 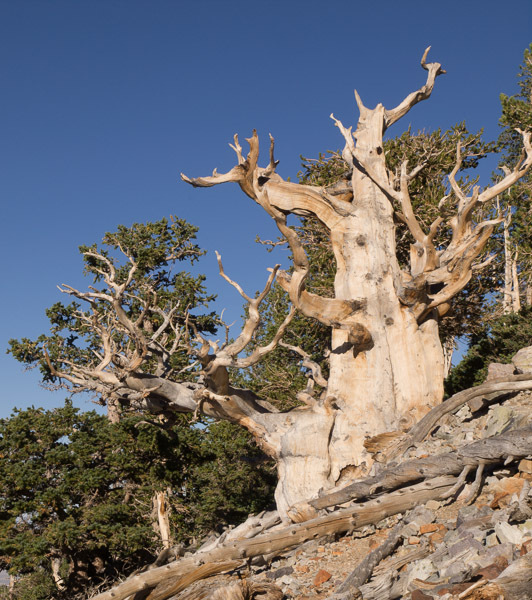 There are three species of bristlecone pines, but the longest lived of them is Pinus longaeva, which grows at high altitude in the Great Basin of eastern California, Nevada and Utah. 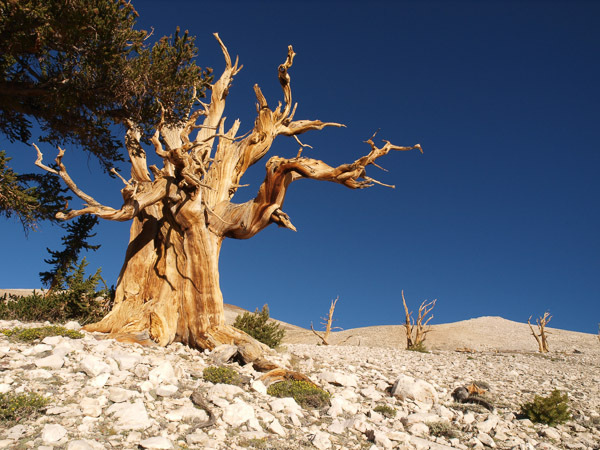 The oldest bristlecone pine trees in the White Mountains of California are 5000 years old. They were growing when Stonehenge was built, before horses were tamed for human use. They are the longest-lived non-clonal plants in the world. 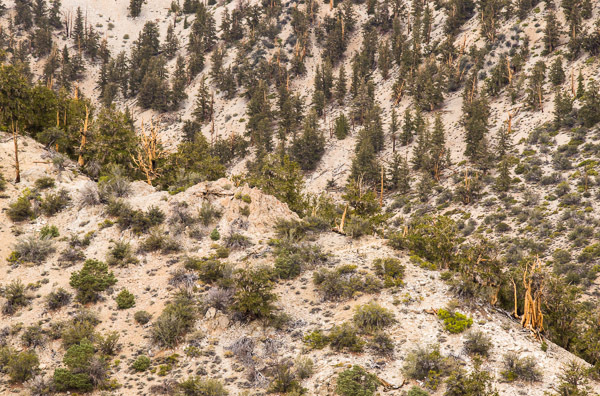 They have been extensively studied in the Schulman Grove, at 3000 metres in the White Mountains. 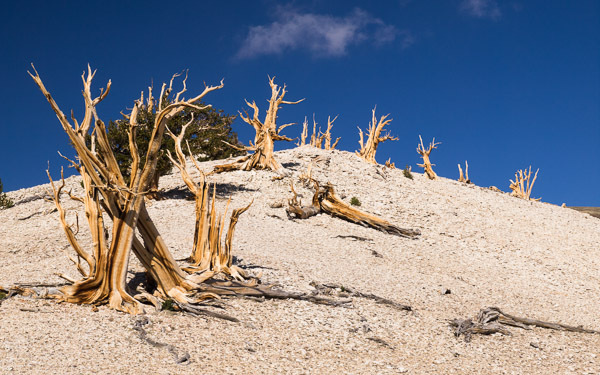 Bristlecone pines grow very slowly in an alpine environment (between 1700 and 3400 metres) in dry conditions on rocky, dolomite soils, which are alkaline and nutrient poor. The trunk may increase only a few centimeters in girth in a century. The wood is dense, and resistant to insects and disease. 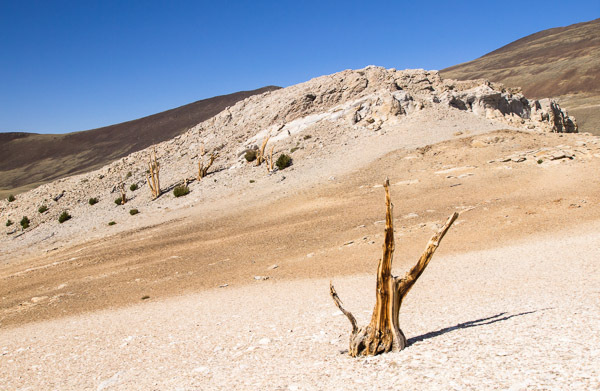 At 3400 metres in the Patriarch Grove, it is thought that a drier climate is making the area no longer suitable for regeneration, and only the old, dead trees remain. 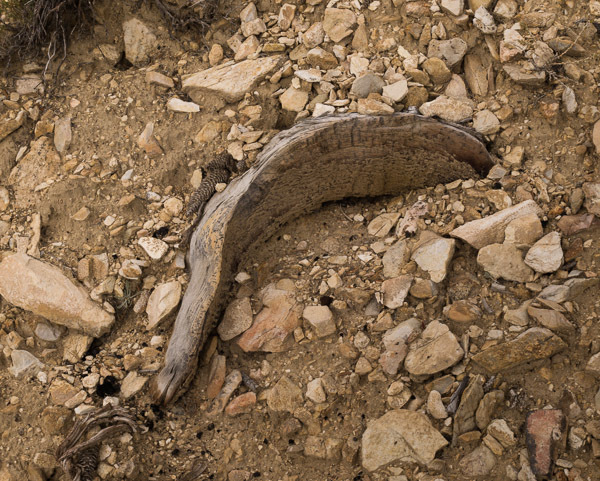 The wood lasts for a very long time even after the tree has died, and pieces of wood have been found that are over 11 000 years old. 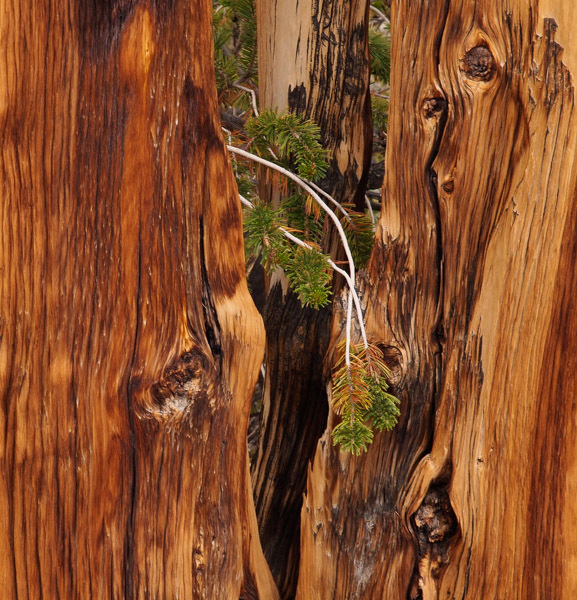 Tree ring patterns in dead wood can be matched to those in other dead pieces, and eventually to a living tree to create chronologies going back the whole 11 000 years. These accurately dated tree ring patterns are important because they have been used to re-calibrate the radiocarbon dating process, and more accurately date artifacts from this period.